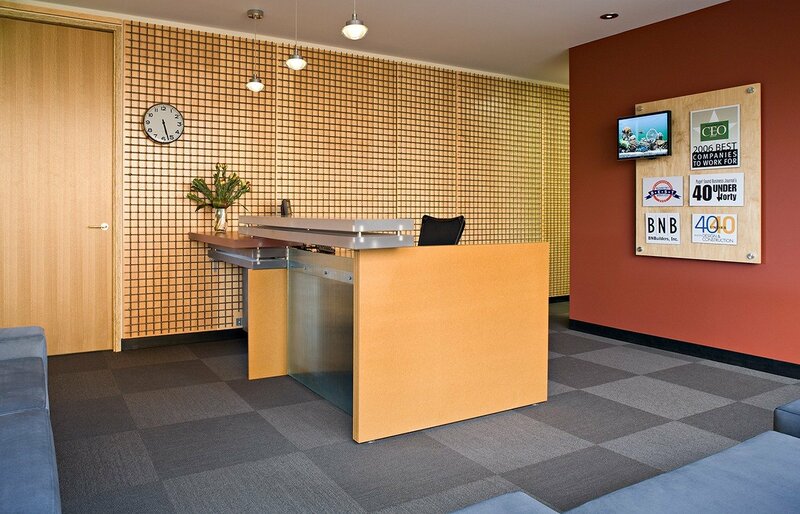 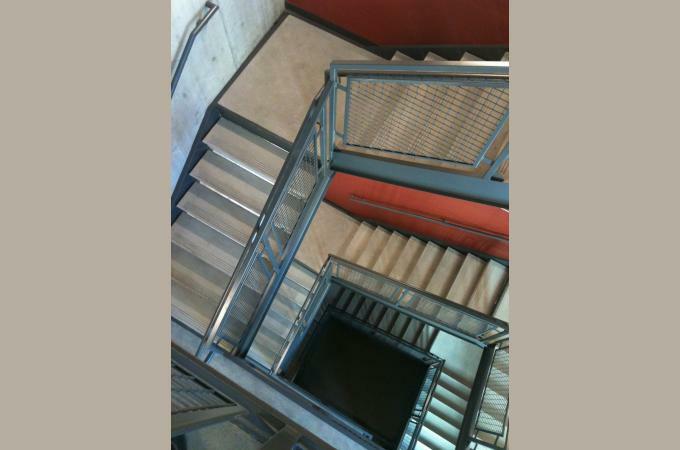 BN Builders is a rapidly growing General Contractor who frequently collaborates with Stock & Associates on projects. 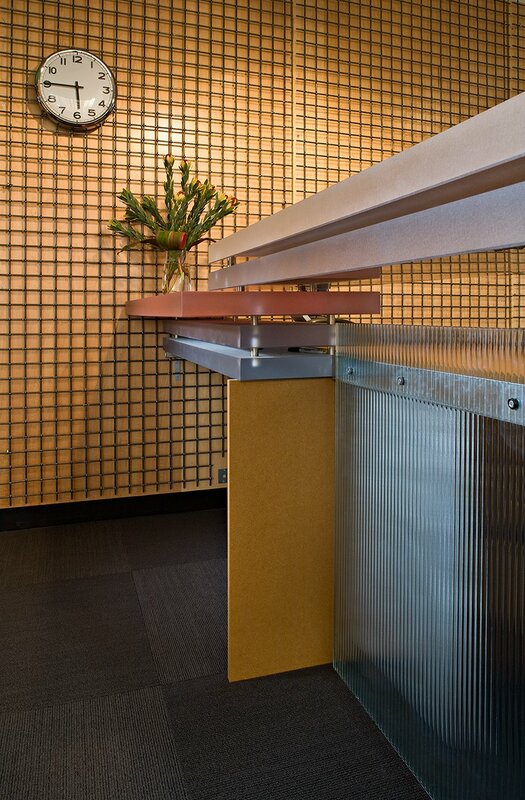 We were asked to design a creative, open office space for them that would foster communication and feature their craft by using construction materials in interesting ways. 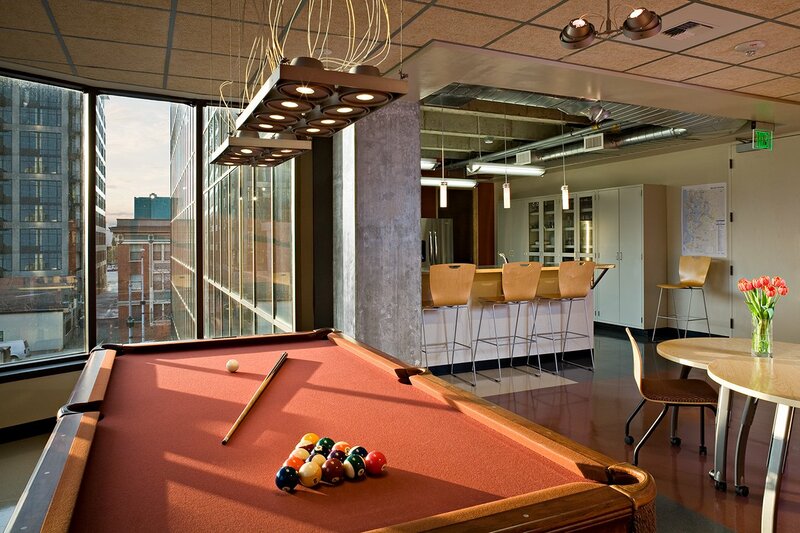 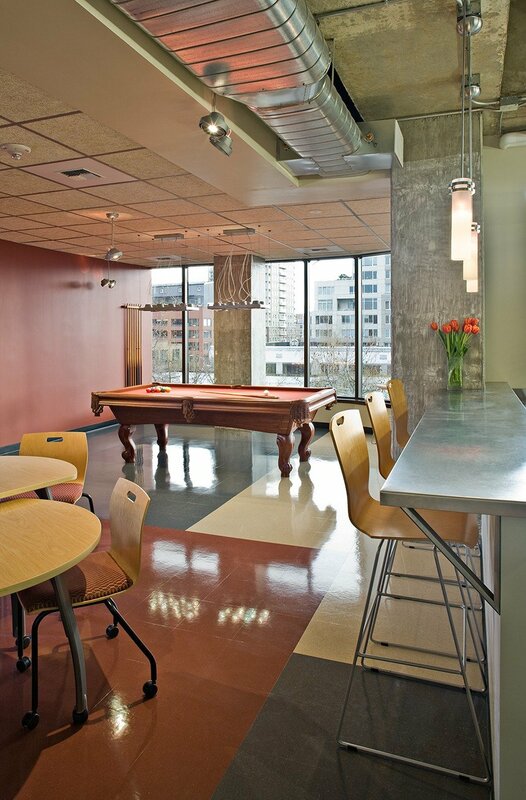 BNB encourages fun at work and hosts frequent celebrations, so a great lounge space was also part of the program for this office. 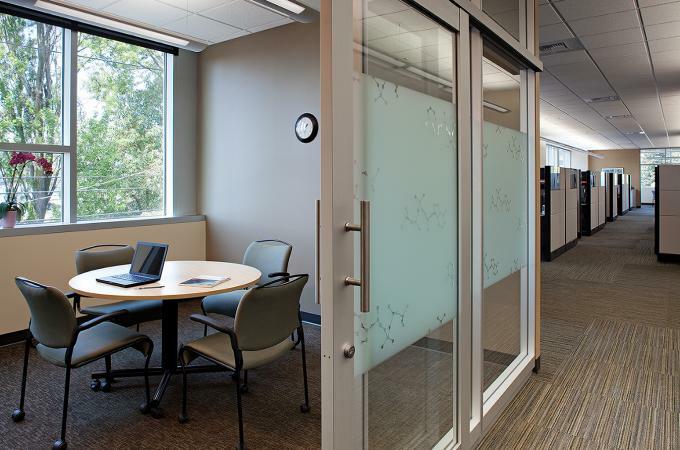 Stock & Associates, Inc. worked closely with a long-time client on this initial tenant improvement in a new building which consolidated their laboratory and office functions under one roof. 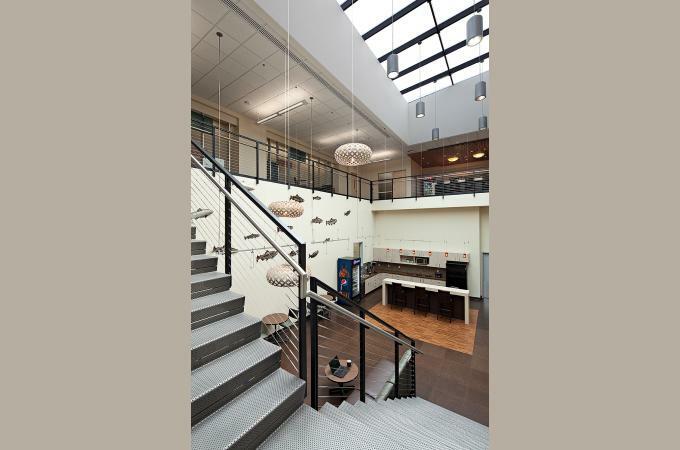 The 109,000 square foot, three story facility houses both laboratory and office spaces. 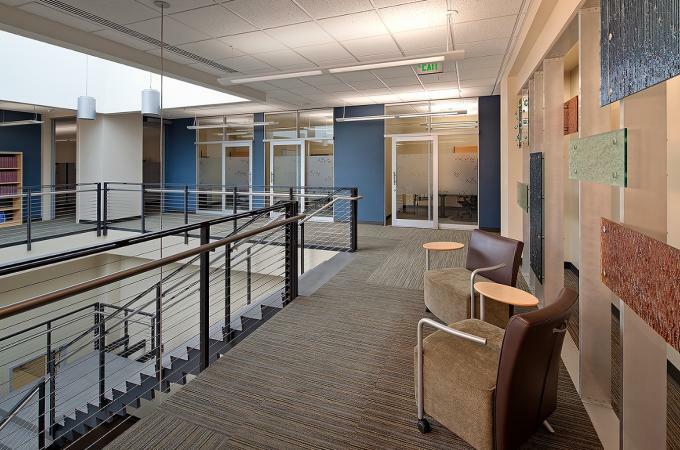 Laboratories and support rooms are now located on one floor; they include Chemistry, Biology and NMR labs. 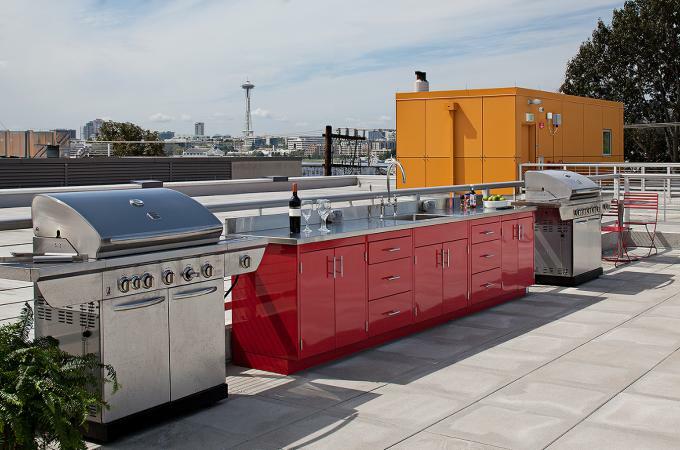 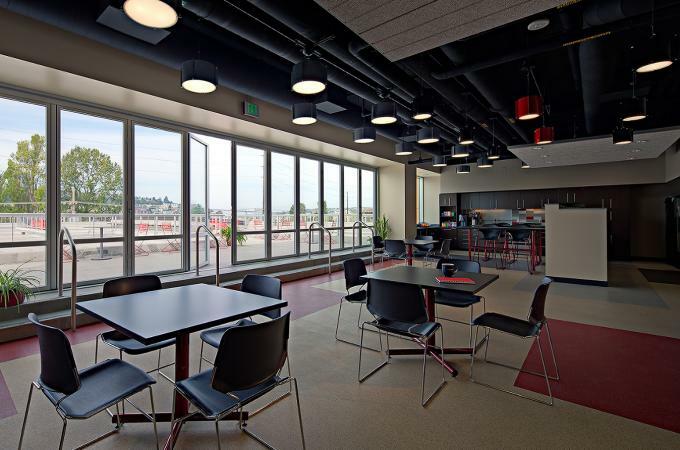 The office floors provide a shared work environment for collaborating departments by providing comfortable and inspiring spaces for interaction in the break rooms, roof-top deck, and casual meeting areas. 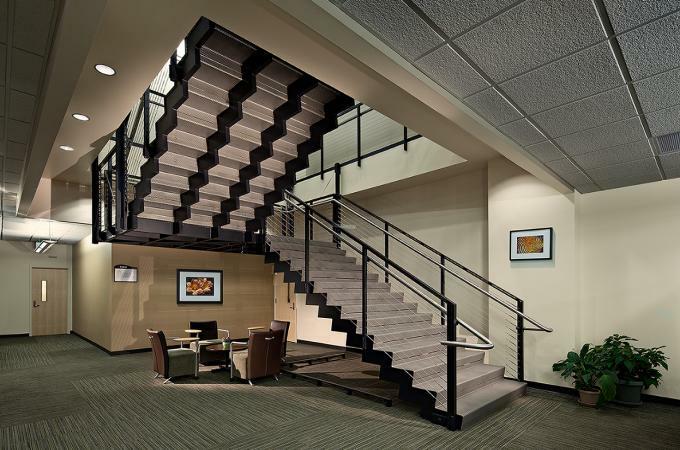 Internal stairs were designed in a light filled atrium featuring a coffee bar. 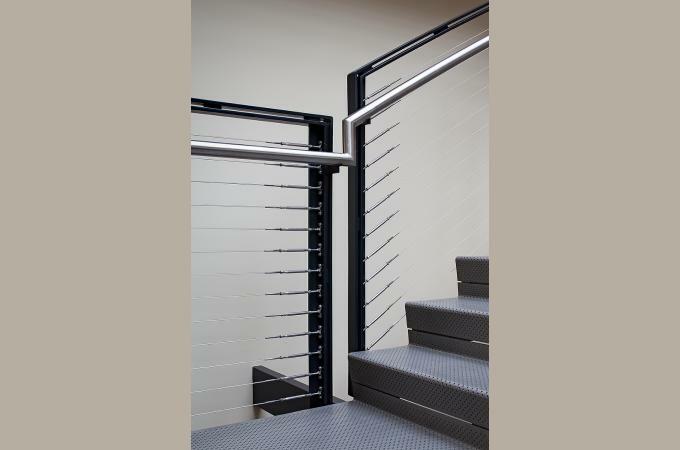 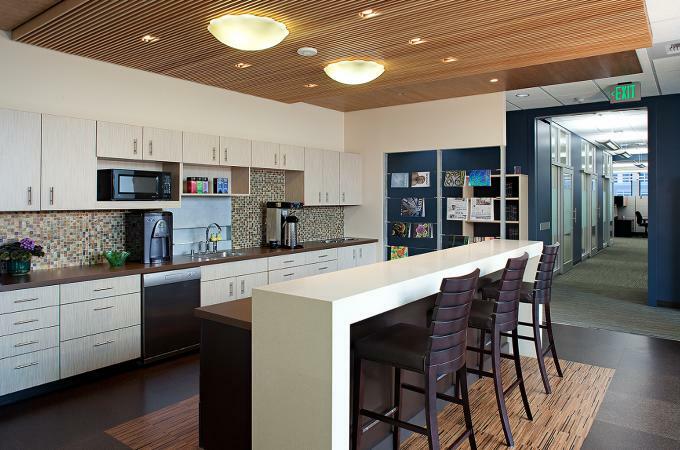 Stock & Associates, Inc. provided full architectural and interior design services that included programming, space planning, laboratory design, and interior design services. 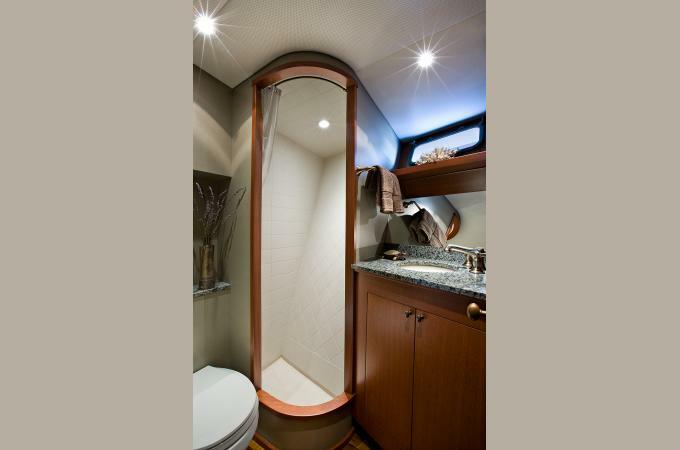 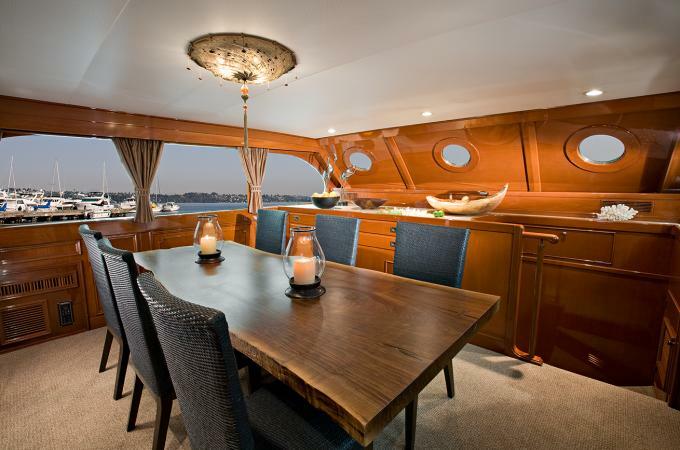 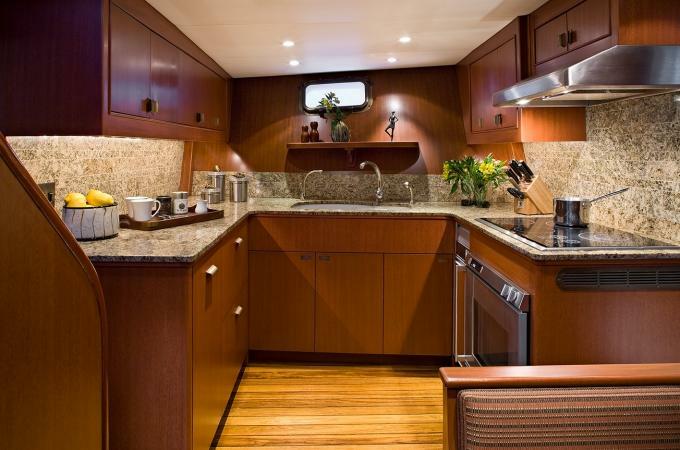 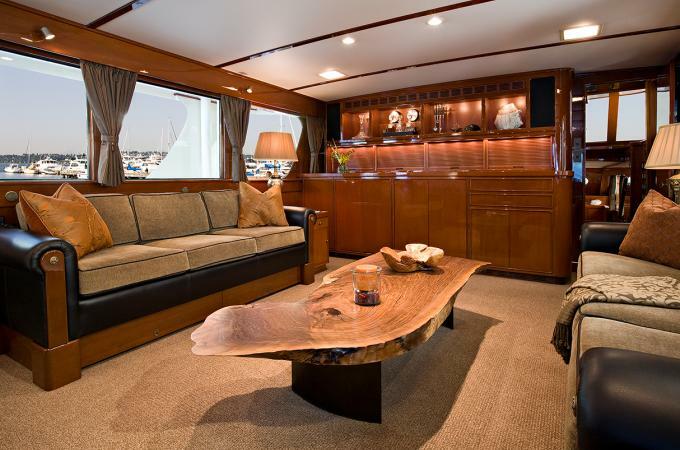 One of our most unusual residential projects was the interior design for Camelot – an 85′ yacht. 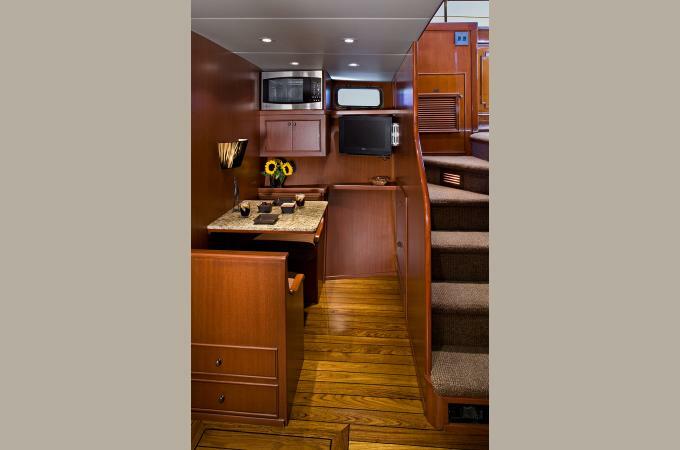 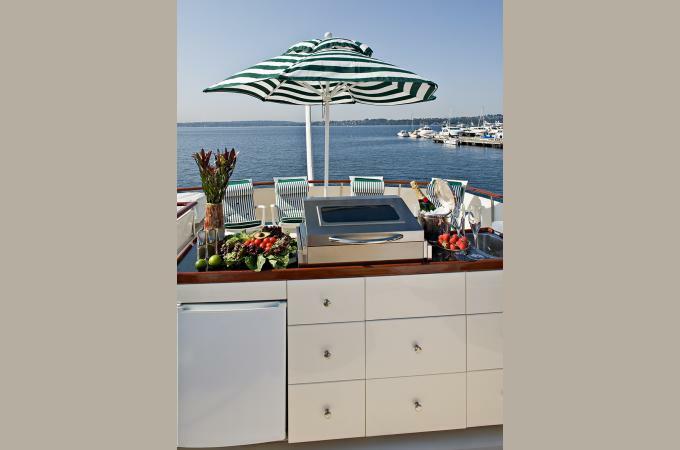 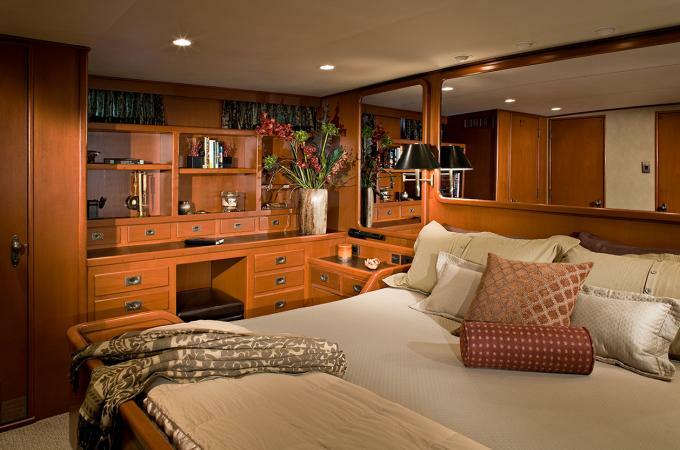 Over three off-seasons we updated the salon, aft deck, dining room, galley, staterooms, heads and crew quarters. 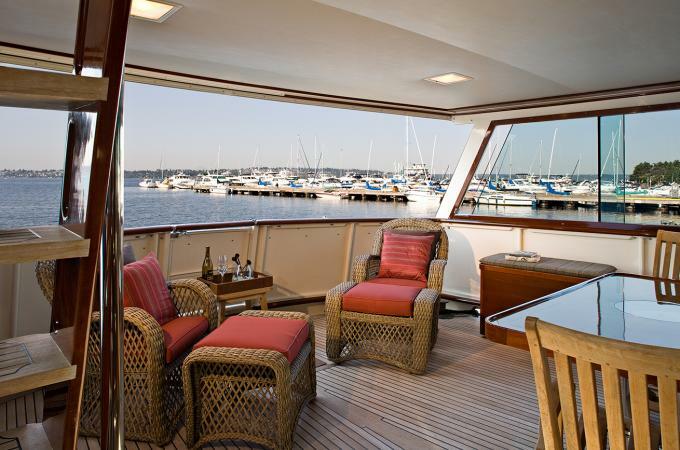 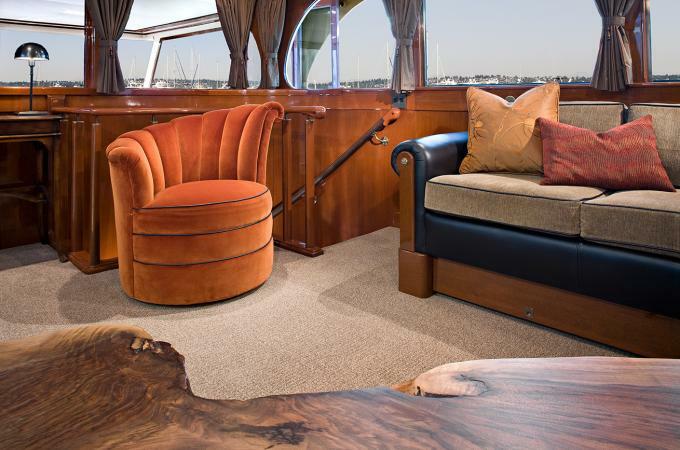 From life raft storage to bed linens, mahogany railings to custom sofas Stock & Associates’ interior designers made the Camelot a luxury home on the water.